America's Most Popular Convenience Food: Are You Feeding Your Family "Cancer"? The Story Of Vitamin B17: Could it be that easy to cure cancer? ... Selenium Cuts Cancer Death Rate from Cancer in Half! Aromatherapy Helps Heal Cancer Patients ... Hydrogen Peroxide as Cancer Treatment? The below provides a general overview on this topic and may not apply to everyone. Adopt a healthier lifestyle. Visit a holistic organization, such as the Hippocrates Health Institute for instructions and guidance to enable them to overcome cancer (and other health problems). Please click on the link for information and videos. "Sugar feed cancer cells" -- therefore, cancer patients are typically instructed to completely eliminate anything from their diet that is, or is in the blood converted to, sugar. Beyond the obvious, this included fruits, alcohol and even wheat products. Eliminate Processed / Cooked Foods: Patients need all the nutrients they can get to fight their disease. This means that any form of processed food is to be avoided. Processing, including cooking or heating food above a certain point, will destroy valuable nutrients they need to get well. There are many raw food preparation classes available in most parts of the country; but even if they are not available in yours, presentations and instructions are available online. Numerous YouTube videos can be viewed on this topic. Potentially avoid Nightshade produce, such as potatoes, tomatoes, sweet and hot peppers, eggplant, tomatillos, tamarios, pepinos, pimentos, paprika, cayenne, and Tabasco sauce. The alkaloids they contain, can impact nerve-muscle function and digestive function in animals and humans, and may also be able to compromise joint function. However, health problems from nightshade foods may only occur in individuals who are especially sensitive to these alkaloid substances. Avoid toxins of any kind. Toxins are often involved in the development of cancer - sometimes playing a minor part; in other cases being the primary factor. Even if toxins are not a major contributor to your cancer -- they will put stress on your body. Your body needs all the help it can get to fight the cancer. Putting additional stress on your body by forcing it to deal with toxins will be detrimental. A well-managed detoxification program may be recommended (to be discussed with a health care professional trained in these procedures). Toxins can be found in your food -- therefore, it is so important to always buy organic. Please visit this webpage for information. Toxins can also be environmental. Please visit this webpage for information. Avoid Stress as it will weaken a patient's immune system and they need a strong immune system to fight the cancer. It is best to avoid people and situations that will be upsetting / stressful. Meditation and/or yoga offers us a way to deal with stress that we cannot avoid. Classes, CDs and DVDs are available on these topics. Get plenty of sleep! Our bodies need restorative sleep in order to perform rejuvenating functions, such as muscle growth, protein synthesis, tissue repair, and even learning new things. The quality of sleep is an important factor in maintaining good health as well as restoring health in those suffering from an illness. The power of oxygen: Healthy cells need oxygen; while cancer cells can live without it ... Ref. : "Magnet Therapy : An Alternative Medicine Definitive Guide". 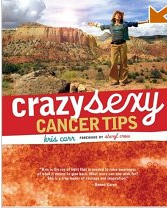 According to Dr. Warburg, a normal cell will turn cancerous if it is deprived of 60% of its oxygen; it may turn cancerous if it is oxygen-deprived for 48 hours (page 192). In order to fight cancer, arterial oxygen saturation needs to be very high. "High O2 tensions were lethal to cancer tissue, 95% being very toxic, whereas in general, normal tissue were not harmed by high oxygen tensions. Indeed, some tissues were found to require high O2 tensions...", J.B. Kizer, quoted in "O2Xygen Therapies: A New Way of Approaching Disease "by McCabe, page 82. Oxygenated blood is bright red as the attached oxygen cause the normally blue hemoglobin molecules turn red. The brighter red the color of your blood, the more oxygen it carries. The darker its color, the less oxygen it carries. Increase the amount of oxygen in the air you breathe - make sure that fresh air is circulated in your area; including every room you spend time in, as well as your car. Practice deep breathing exercises for a few minutes EVERY day. Improper breathing causes oxygen deficiency. It is important to use the full capacity of your lungs by expanding both the chest and lower abdomen. One such exercise involves inhaling slowly filling the lungs to fullest capacity and exhaling through the nose only, making sure that all "spent" air is expelled. Repeat 5 to 10 times as you feel comfortable. It is important to make sure that the breathing exercises are undertaken in an area with plenty of fresh air; preferably outside. Caution: some initial dizziness may occur. Deep breathing also contributes to moving the lymph. Deep breathing in combination with outdoor activities (bicycling, walking / jogging, playing tennis, golf, etc. -- is particularly recommended). Bathe in oxygenated water. Add one pint to one quart of 3% hydrogen peroxide (available at any drug store) to your bath water and soak in it. It is important to make sure that the bath water is chlorine-free. Since regular tap water often contains chlorine and other toxins, it is recommended to use filtered water. A shower filter is always recommended to remove toxins and impurities that will otherwise be absorbed through the skin during a shower. Once you have a shower filter installed, you can fill the tub via the shower. Avoid exposure to carbon monoxide at all cost -as carbon monoxide reduces the oxygen-carrying capacity of the blood. This includes avoiding cigarette smoke, vehicle exhaust, as well as fumes from gas stoves & heaters. Fluoride also interferes with oxygen uptake ("Oxygen Oxygen Oxygen" by Donsbach, page 30). Fluoride can typically be found in tap water and dental care products. IMPORTANT MESSAGE: Changing your lifestyle is not easy, and it requires the cooperation and help of the entire family. However, consider the ramifications of maintaining a lifestyle that lead to your disease. Changing your lifestyle will allow you to get well, enjoy a much higher quality of life -- and nothing to be sniffed at -- a LONGER life. This being said, the above is just a short synopsis of general recommendations and may require modifications as decided on by someone qualified in this area and who knows your specific physical condition and needs. The help, guidance and support of a holistic organization, such as the Hippocrates Health Institute may make the difference between success and failure. (The institute was recommended by several cancer survivors -- no other affiliation exists between Avianweb and this institute. Your holistic consultant (acupuncturists, nutritionists , etc.) may be able to recommend another institute that offers similar programs in your area. We associate hair loss with chemotherapy, but loss of appetite is a far more serious problem. Chemo and radiation therapies cause nausea, vomiting, altered senses of taste and smell, sore mouth and throat, diarrhea and constipation. Cancer patients frequently become underweight and malnourished. According to Patrick Quillin, Ph.D., RD, CNS - a clinical nutritionist in Encinitas, California, 40% or more of cancer patients actually die from malnutrition. Fish / Fish oil: Omega-3, called EPA, may help immune cells recognize and destroy cancer cells and thus slow their spread, recommends Dr. Qillin. Curcumin: Turmeric gets its yellow color from an antioxidant. This potent antioxidant has been shown to induce cancer cell suicide without damaging healthy cells. Dosage: 100 to 800 mg curcumin in capsule form daily or liberal use of turmeric in foods. Garlic: May improve appetite by reducing the side effects of chemotherapy and radiation. Garlic protects your healthy cells. Selenium Cuts Death Rate from Cancer in Half! A daily supplement of 200 microgram of selenium, has been shown in a large placebo-controlled, double-blind clinical study -- the most prestigious type of scientific study of nutrients and drugs -- to cut the death rate from cancer in half. Specifically, a large group of people who were given each day a yeast tablet enriched with 200 micrograms (mcg) of selenium had only half the number of deaths from cancer over a seven year period as a similarly large control group who were given a daily yeast tablet containing no selenium. Yeast tablets enriched with 200 mcg of selenium are readily available at pharmacies as well as health stores across the U.S. for about $5 or so for a bottle of 50 to 100 tablets -- only 10 cents or less per day. The results of this dramatic study were published in the medical profession's own journal: The Journal of the American Medical Association. Nevertheless, most doctors pay no attention to the results. Selenium (at 10 cents per day or less) has been shown in a large clinical study to cut the death rate from cancer in half and nobody informs the public about it. According to the National Cancer Institute (NCI), research suggests that long-term use of selenium supplements may reduce men's risk of developing prostate cancer by 60 percent. Larger studies are underway. Could it be that easy to cure cancer? 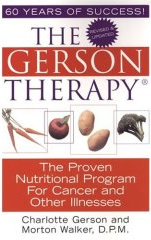 G. Edward Griffin marshals the evidence that cancer is a deficiency disease - like scurvy or pellagra - aggravated by ... all » the lack of an essential food compound in modern man's diet. That substance is vitamin B17. In its purified form developed for cancer therapy, it is known as Laetrile. Why has orthodox medicine waged war against this non-drug approach? The author contends that the answer is to be found, not in science, but in politics - and is based upon the hidden economic and power agenda of those who dominate the medical establishment. With billions of dollars spent each year on research, with other billions taken in on the sale of cancer-related drugs, and with fund-raising at an all-time high, there are now more people making a living from cancer than dying from it. If the solution should be found in a simple vitamin, this gigantic industry could be wiped out over night. The result is that the politics of cancer therapy is more complicated than the science.